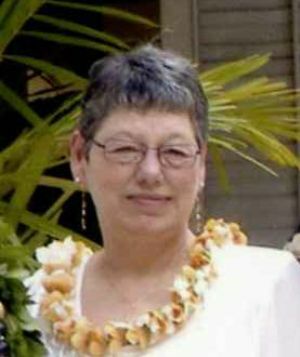 Carol Ann Rubach, age 67, of Green Lake, WI, passed away on Friday, April 12, 2019 at her home. Carol was born in Fond du Lac, WI on October 14, 1951, the daughter of William and Doris (Luther) Daane. She graduated from Brandon High School and attended Appleton School of Cosmetology. Carol married Donald Rubach in 1977 in Brandon, WI. Carol worked at Speed Queen, Kmart and most recently as a receptionist at Culligan Water. She is survived by her husband, Donald Rubach; sons, Ryan Rubach of Markesan, WI and Mike (Shelley) Rubach of Auburn, CA; grandchildren, Aubrei Rubach of Markesan, WI, MJ and Isaac Rubach of Auburn, CA; sister, Kathy (Doug) Rubach of Ashland, OH; and sister-in-law, Sally Rubach of Burlington, WI. She is preceded in death by her parents, William and Doris Daane; mother and father-in-law, Roger and Ethel Rubach; and brother-in-law, Rick Rubach. A visitation for Carol will be held on Thursday, April 18, 2019 from 4:00 pm- 7:00 pm at Butzin-Marchant Funeral Home, 515 Mayparty Dr., Ripon, WI 54971. A private family service will be held for Carol on Friday, April 19, 2019 at Butzin-Marchant Funeral Home with Chaplain Evan Stark officiating. Interment will take place at Eagle Creek Religious Society Cemetery in Burlington, WI. A memorial is being established in her name.